A 29-year-old male participates in a clinical research project and found to be homozygous for the apolipoprotein E-4 allele. Currently he is asymptomatic; however, when the patient gets older which of the following will he most likely suffer from? The correct answer is (A), Alzheimer Dementia. the ventricles. Image source: WebPath. Down syndrome patients have early onset of Alzheimer disease. Down syndrome patients have three 21 chromosomes. APP is located on chromosome 21; therefore, having an extra chromosome 21 will multiply the chances of Alzheimer disease, usually around 35-years-old. The late onset of Alzheimer disease is due to mutation on chromosome 19 of apolipoprotein E4 gene, which is the cause of senile plaques. B) Peptic ulcer disease is strongly associated with H. Pylori infection. C) Familial hypercholesterolemia is an autosomal dominant disease in which there are decreased number of LDL receptors. With less LDL receptors, there will be high concentration of LDL in serum, which will lead to atherosclerosis to myocardial infarction, and eventually death to people in their teenage years. D) Diabetes mellitus, type 2 has a strong polygenic genetic predisposition, more than type 1. It’s due to amyloid deposits on β cells of the pancreas, leading to increase in insulin resistance. E) Hypertrophic cardiomyopathy is a diastolic dysfunction, which is due to mutation of the β-myosin heavy chain. Mutations of APP on chromosome 21, Presenilin 1, and Presenilin 2 genes are the causes of early onset Alzheimer disease. 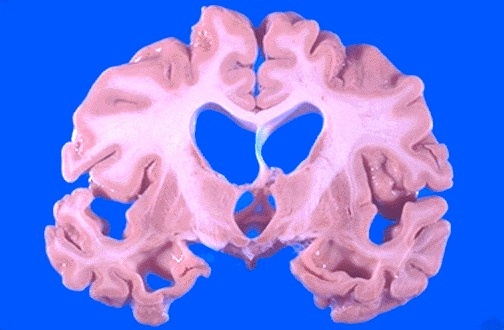 On the other hand, mutation of apolipoprotein E4 gene is the cause of senile plaques, the late onset of Alzheimer disease.